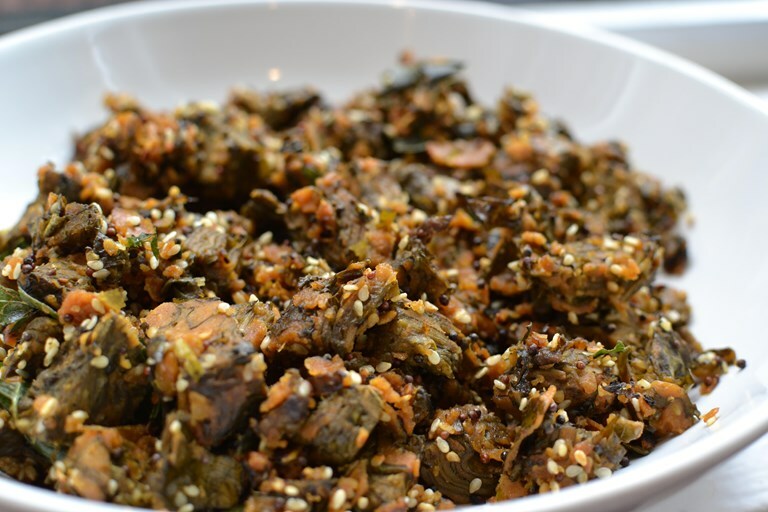 If you're looking to branch out with some more unusual Indian cooking, why not try Urvashi's Gujarati recipe for patra leaves? She has fond memories of her grandmother making these, but now they can often be found ready-prepared in tins at most Indian supermarkets. If buying ready-prepared patra, simply empty the tin, chop roughly and then stir fry in some oil with mustard seeds and cumin seeds. Sprinkle over fresh coriander and you’re done.